For the month of November, Xbox Live Gold members will receive four new free games – two on Xbox One and two on Xbox 360 – as part of the Games with Gold program. You can play both Xbox 360 titles on your Xbox One with Backward Compatibility. On Xbox One, Xbox Live Gold members can download Trackmania Turbo ($39.99 ERP) for free during the month of November. Tales from the Borderlands Complete Season (Episodes 1-5) ($14.99 ERP) will be available as a free download from November 16th to December15th. 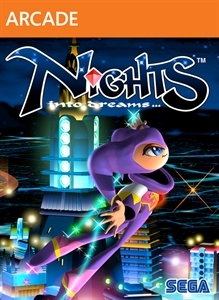 On Xbox 360, starting November 1st, NiGHTS into dreams ($9.99 ERP) will be free for Xbox Live Gold members through November 15th. 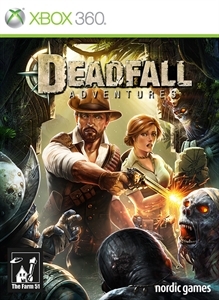 Then on November 16th, Xbox Live Gold Members can download Deadfall Adventures ($39.99 ERP) for free through November 30th. Read more about November’s Games with Gold titles over at Xbox Wire. See last month’s Games With Gold here. Game Description: Tales from the Borderlands is a five part episodic game series set on the unforgiving world of Pandora after the events seen in Borderlands 2. This story follows two adventurers on their quest for greatness and thrown together as unwilling partners in an adventure to recover cash they both think is theirs. DO NOT purchase this content if you own the Tales from the Borderlands Season Pass. Tales from the Borderlands – Episode 1: Zer0 Sum required; sold separately.